A 9/11 day-after reflection about my dad, and our country. It’s an old scraggly, stark-naked tree, not a leaf on any of its many – and most decidedly – dead branches. Like the twisted, gnarly and bony fingers of what remains of a skeletal hand thrusting claws up through the soil which my mom was fond of placing about the yard at Halloween, the solo snag stood out against its evergreen neighbors. But the eagle wasn’t sitting there. Then he saw it, or at least he thought he did, the bald eagle perched proudly – like an angel Christmas ornament – on the very top of an adjoining Noble Fir. With his rifle cradled in his arms – which he hoped one day would hold a child of his own should he survive this war – he hunkered down beneath the bridge that was rumored this night – with the wet, cold and dreary onset of dusk now at hand – to bear the weight of the approaching enemy. He watched the eagle though the hazy fog and misting rain. The great majestic creature – appropriately authenticating documents of the United States of America emblazoned as it was on the Great Seal – didn’t move and apparently didn’t care about the weather. Or the pending battle below. My father was serving in the 10th Mountain Division that fought in the Apennines of Northern Italy. “There will never again be a combat division assembled by a civilian organization (National Ski Patrol),” but that’s where the 10th found my dad, shushing the slopes of Mt. Rainier where the 10th would train. Quotes are from the introduction to the book in which my dad is mentioned, a book that heralds these soldiers, documents their battles, celebrates their victories, memorializes their deaths. 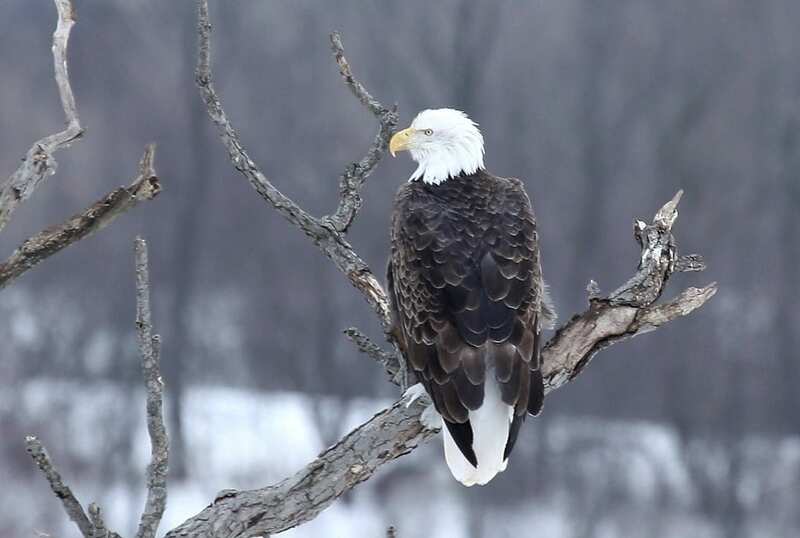 The snowy-feathered head and white tail of this proud national symbol of our United States sat unperturbed, powerfully oblivious to predators, distinguished, distinctive, deliberate, and determined in demeanor and deportment. Wanting a closer look at the majestic bird he zeroed in on the eagle with his binoculars. It wasn’t there. Turned out it never had been. Just a white splotch splashed on a green-tree canvas on which his mind had been focused, a reprieve from the realities, a respite from the cold. What you think about, where your mind wanders, how you reflect on things are fairly good indicators, monitors, measurements – like the eagle that was never there in the incessant rain – that can get you through stuff. Trained to succeed in harsh conditions to protect the freedoms we enjoy today is such a long, freezing, bloody world away in distance and in time and in significance from the anemic, by contrast, protests seen today on the sidelines of stadiums here-and-there across America. Carrying the football by more-than-well-paid professionals and continuing to carry the torch – the name and the colors – of this proud group of 10th Mountain Division veterans who yet stand – stand – ready “for any unexpected problem” shows, by stark contrast, that for some, still, the flag is not just a piece of fabric, the red not just a color, the eagle not – at all – perturbed.